Representatives of the Secretariat of the Ukrainian Parliament Commissioner for Human Rights, the Ukrainian Helsinki Human Rights Union (UHHRU), the US Agency for International Development (USAID), as well as representatives of international organizations, such as UNDP, the UN Monitoring Mission, the EU Advisory Mission, OSCE, UNHCR, the Council of Europe Office, representatives of the embassies of the United States and Sweden, and civil society participated the event. “Even when we see that only 21% of the planned tasks have been implemented, we should not be disappointed. Theoretically, the platform has been designed to facilitate the implementation of tasks assigned to both the government and us but only under the condition of common work, common goals, and common understanding how it should be. I am convinced that it is necessary to organize a meeting with the Government to express our concern and our desire to continue to co-work, but to co-work effectively, not formally,” said the Ombudswoman. “Much of the success achieved in the implementation of the Strategy has been reached, because of social activism of NGOs and the Office of the Commissioner. The Strategy is an important advocacy document that we use to promote important changes in Ukrainian society. 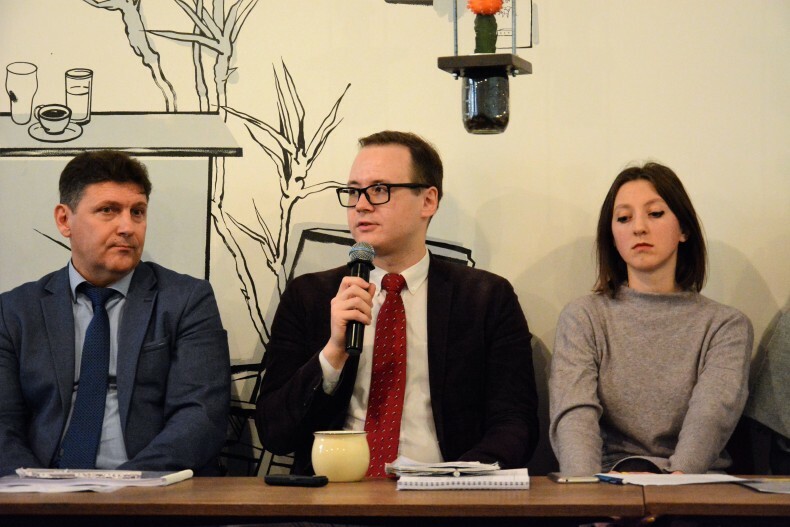 And if on the way toward the changes, the Strategy requires correction, we are ready to complement and adjust it to new challenges in the country”, said Arkadiy Bushchenko, Executive Director of UHHRU. 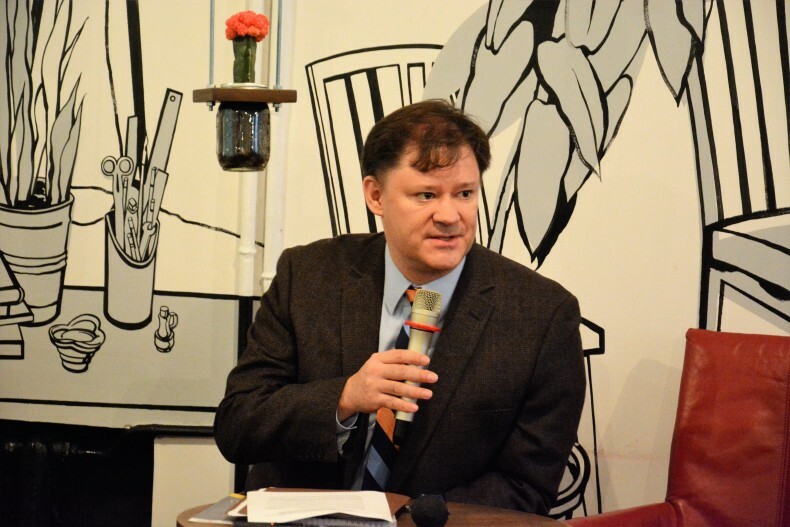 Congratulating with the anniversary of the adoption of the National Strategy for Human Rights, Thomas White, Director of the Office of Democracy and Governance of USAID has called Ukrainians to get inspired and proud of this document. The human rights defenders delivered their statements about the implementation of the National Strategy for Human Rights. Oleh Martynenko, Head of the Analytical Direction of UHHRU, placed a greater focus on law enforcement. He drew attention to the issues that law enforcement is facing concerning the compliance with the personal rights: these are torture prevention, civilian control over police, prison reform. 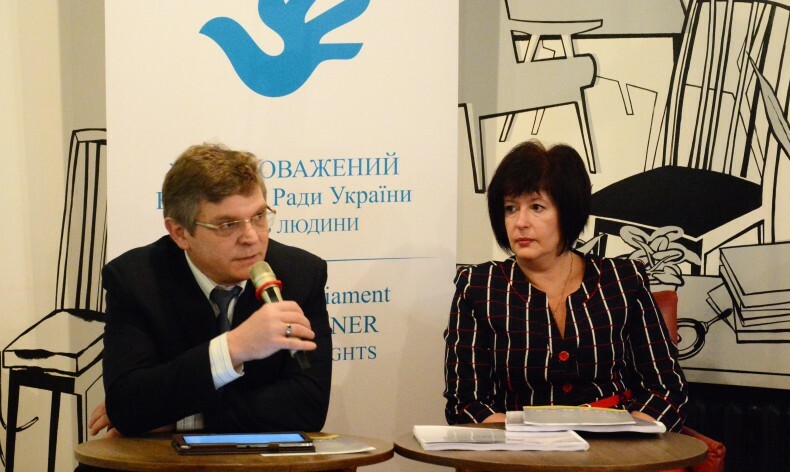 Mykhailo Kameniev, the representative of the NGO “Human Rights Initiative,” elaborated on the issue of peaceful assembly. “None of the bodies responsible for the implementation of these actions has actually committed the process of implementation. The largest contribution, in my opinion, has been made by the Parliament Commissioner for Human Rights and the Constitutional Court of Ukraine,” said the expert. We recall that, on September 13, the Constitutional Court of Ukraine adopted a decision on the unconstitutionality of the provisions of part 5 Art. 21 of the Law “On Freedom of Conscience and Religious Organizations in Ukraine,” which provides for that a public worship, religious rites, ceremonies and processions in areas other than those established by law, are conducted with the permission of the relevant local authority. Leonid Lebediev, Chairman of the Foundation “Change one life – Ukraine” believes that “there is a need to add new actions in the Action Plan because, unfortunately, we cannot talk about measures to balance the rights of children to achieve the expected results.” He also noted that those measures have been more or less implemented, where the civil society was involved at the stage of development of the Action Plan. 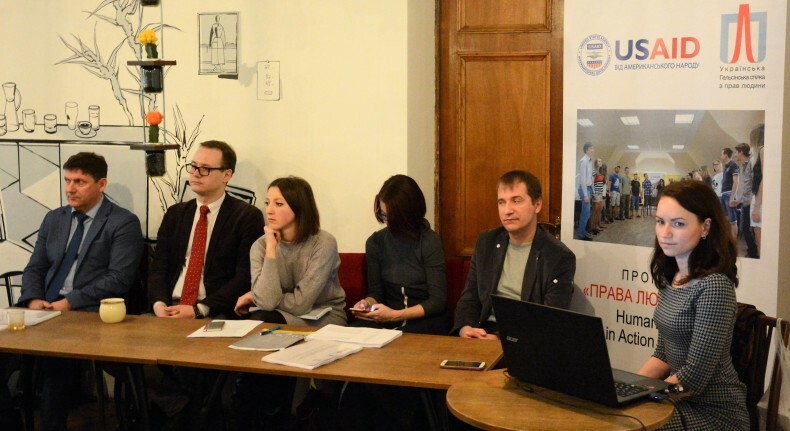 Iryna Fedorovych, Co-Chair of the Coalition for Combating Discrimination, said that the Strategy could have included the only phrase “the state must follow the principle of non-discrimination.” “In developing the Action Plan we tried to write it in details and step by step. We also tried to summarize all that various international institutions have been returning to Ukraine for twenty years. The majority of the replies has explaned why they could not do it, but if they, instead of spending time to explain why they could not do it, spend the time to do something, we would have advanced,” said the human rights defender. 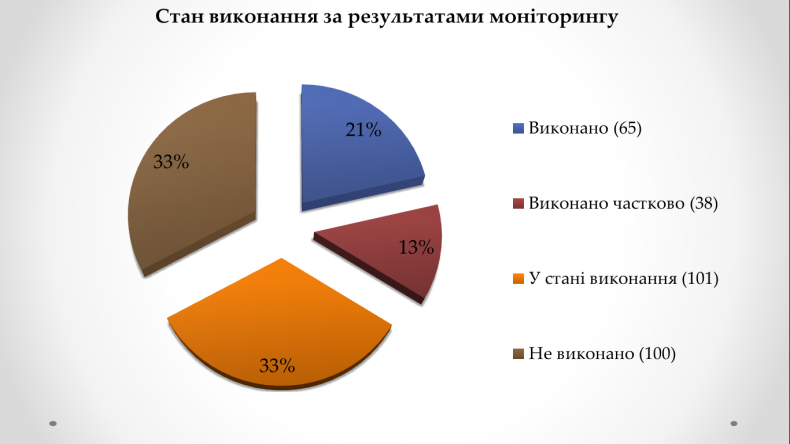 Kseniia Karahiaur, an analyst at the Foundation “The Right to Protect,” noted the following problems during the monitoring: violation of access to information, giving formal responses by responsible executors, as well as the issue of actual implementation of measures, in particular, budget funding. Also, she brought up the issue of improper provision of the functioning of the IDPs information base. 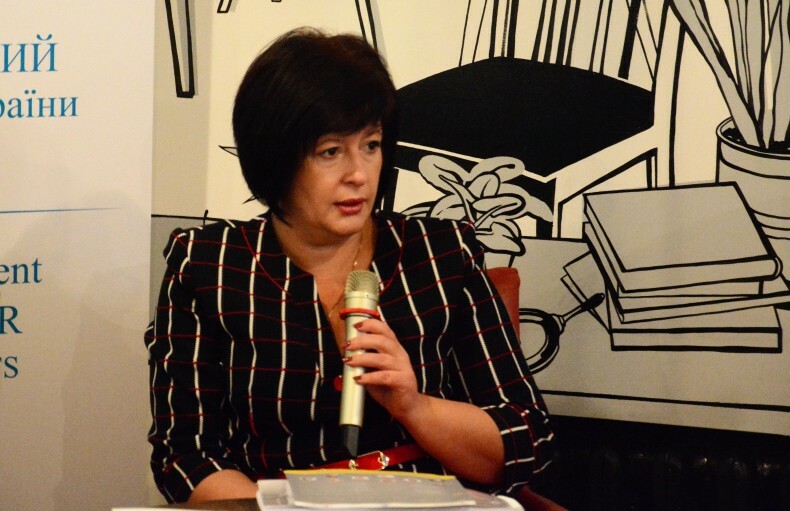 She said, “as of October in the East only about 30% of the bases operated.” At the same time, she positively assessed the activities of the Ministry of Education and Science of Ukraine, the Ministry of Regional Development and Construction of Ukraine. As a result of monitoring, the calculation of implemented measures of the Action Plan was performed. The UHHRU’s work on drafting the National Human Rights Strategy and the Action Plan that operationalizes the Strategy, as well as monitoring of their implementation is supported by the U.S. Agency for International Development (USAID) in frames of Human Rights in Action Project. The American people, through the US Agency for International Development (USAID), have provided economic and humanitarian assistance worldwide for 50 years. In Ukraine, USAID’s assistance focuses on three areas: Health and Social Transition, Economic Growth and Democracy and Governance. USAID has provided 1.8 bln technical and humanitarian assistance to Ukraine since 1992. For additional information about USAID programs in Ukraine, please visit our website: http://ukraine.usaid.gov or our Facebook page athttps://www.facebook.com/USAIDUkraine.